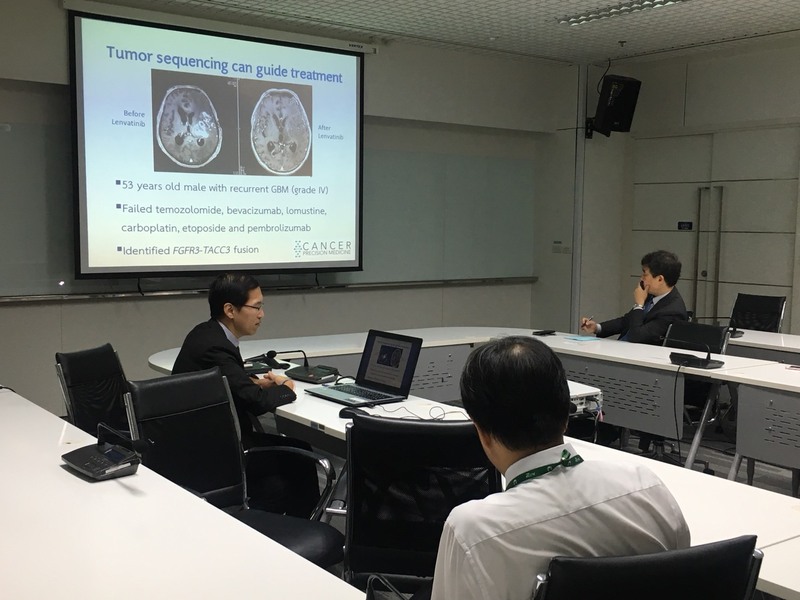 Apart from the main committee meeting on Research and Innovation Advisory, Prof. Jong IL KIM, Associate Dean of Seoul National University, Korea attended the side-discussion on cancer research with a team from Siriraj Hospital led by Assoc. Prof. Uraiwan Panich, Chairwoman of Department of Pharmacology, Assoc. Prof. Manop Pithukpakorn, Assoc. Prof. Adisak Wongkajornsilp, Dr. Siwanon Jirawatnotai, and Dr. Somponnat Sampattavanich.